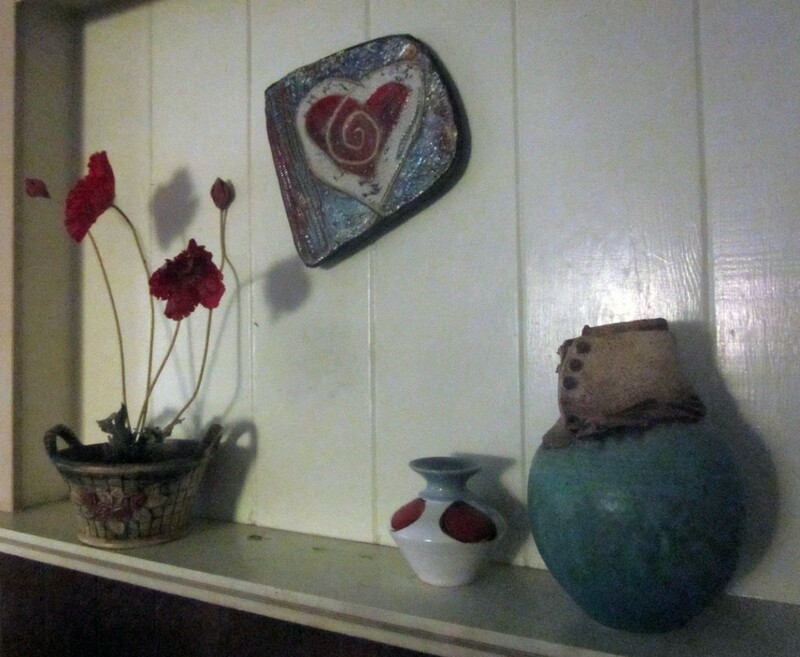 Works of Elaine Pinkernell (on wall), Hank Scott and Paula Prekowitz, with Weller ceramic basket and faux poppies on left. Last fall, during the 2013 Santa Cruz County Open Studios, I determined that I would not be applying in 2014. For the best of reasons! My older son Roger had proposed to his love Cassandra and they set the date for early September 2014. Their wedding would be in the White Mountains of New Hampshire, a whole wide country away. I knew I wanted to focus on that wedding and not have the pressure of a looming OS season right after.